Taxon: Balsamorhiza sagittata (Pursh) Nutt. Locality: USA, Nevada, Washoe, Antelope Allotment. HWY 395 North to Exit 78 (Red Rock Road) follow RR until second left turn after Bird Springs road, collection site along roadside about 1.5 miles into allotment. 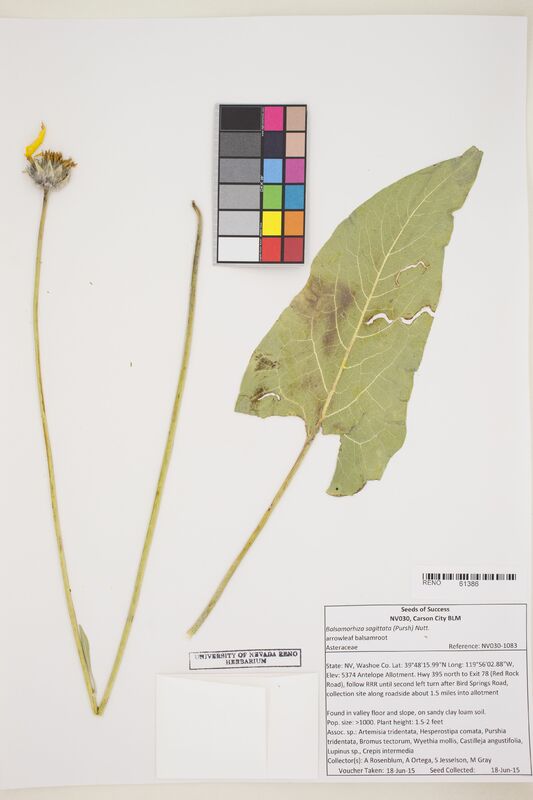 Habitat: Found in valley floor and slope, on sandy clay loam soil.